Video monitoring in farm Improve control, increases efficiency and safety. Now it is easier than ever to get perfect control over what happens on the farm. It does not matter where you are, and it works round the clock. 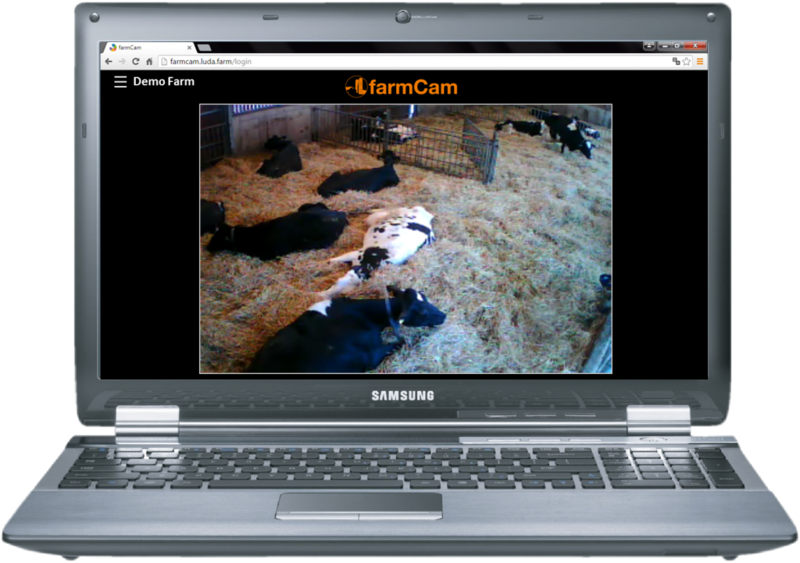 With a digital camera monitoring system, you get a smart, flexible and cost-effective way to keep track of everything, from what happens in the courtyard to what goes on by the milking robot, in the calving pen and around the diesel tank. Everything is integrated in an easy-to-use system built to the highest quality. Best of all is the ability to track everything in real time right on your smartphone or tablet. On a farm, there are plenty of things that must work to avoid interruptions and delays in the daily operations. Any interruption or change in routines can cause significant losses, and to keep track of everything at any given moment is an important part of every farmer’s normal day. From early morning to late evening. Hans and Katarina Johansson, organic dairy farmers in Jörlanda on the Swedish west coast. The farm has some 60 cows and as many calf. As competition in agriculture increases, the margins for interruptions or shut-downs in daily operations have become increasingly smaller. The earlier you can detect and correct a discrepancy, the smaller the risk of costly downtime or unwanted thefts. Hans and Katarina Johansson, organic dairy farmers. 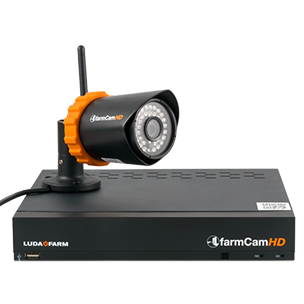 With an Internet connection, using the camera monitoring system it is possible to monitor what goes on at the farm both day and night. You no longer need to be physically present, but can instead use your smartphone or tablet to stay informed and track everything that happens. No more long walks from one place to another, and you save valuable time and become more efficient. At the same time, you will feel more secure since you constantly can keep an eye on what happens via your phone or tablet. “We breed pigs, grow crops and even produce our own electricity. With so many different things going on, it is important to keep track of everything that happens. 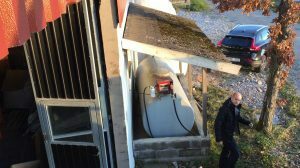 This is why we have installed LUDA’s monitorings system with cameras in the yard and in front of the mill where the electric generator is located. You simply can’t be everywhere at the same time, but because we can now keep track of everything via our mobile phones we feel much more secure. Göran Sahlberg, farmer in the Kvänum, Sweden, with an annual production of 3,000 pigs for slaughter. 95 per cent of all fodder is grown on the farm, which is also self-sufficient in electricity. With the camera monitoring system, it is also possible to monitor critical processes such as calving and to immediately be alerted if movement is detected near the diesel tank. You will feel more secure, while animal welfare improves – this also contributes to a more relaxed everyday life. Hans and Katarina Johansson, organic dairy farmers on the Swedish west coast. 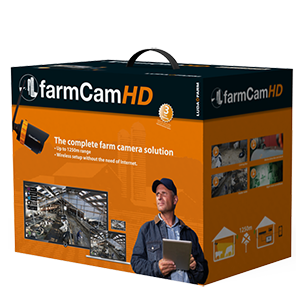 A camera monitoring system must be designed to meet the special needs of farms. This means that all system components, including the software, must be rugged, waterproof, reliable, easy to install and easy to use in everyday life. 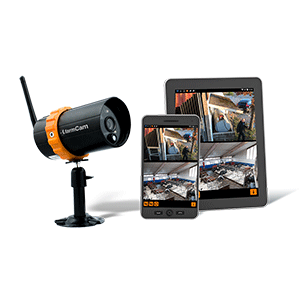 Today’s wireless cameras offer clear, full-coverage pictures both in daylight and total darkness. The cameras are equipped with motion detectors, alarms and a recording feature and can be quickly and easily installed at a very modest cost. The entry threshold has become much lower. 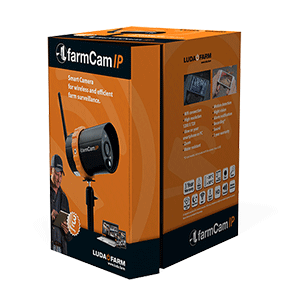 Compared to only ten years ago, for just one-tenth of the cost farmers can get a highly efficient high-quality camera monitor system specially adapted to the tough conditions on the farm. Saves time by allowing you to always keep track of critical operations via a smartphone or tablet no matter where you are or the time of day. Increases efficiency by reducing the risk of unwanted downtime and interruptions. Increases security since the system alerts users of unexpected events and unwelcome visitors. Contributes to improved animal welfare because you can always follow what happens e.g. in connection with calving or milking at the robot. Reduces the risk of environmental effects because you can immediately see when something goes wrong. A robust, easy-to-use system tailored to the specific needs and prerequisites of farms. Easy to install and easy to expand and customise to the special conditions at your farm. Can also be supplemented with other types of monitoring, such as mobile cameras and special detectors, e.g. at the diesel tank, along fences and to monitor temperatures in different locations. This enables you to gather all critical information for your operations in a single system. You can monitor everything from a smart, user-friendly app on your smartphone or tablet. An affordable, flexible monitoring system that can be adapted to any type of farm.